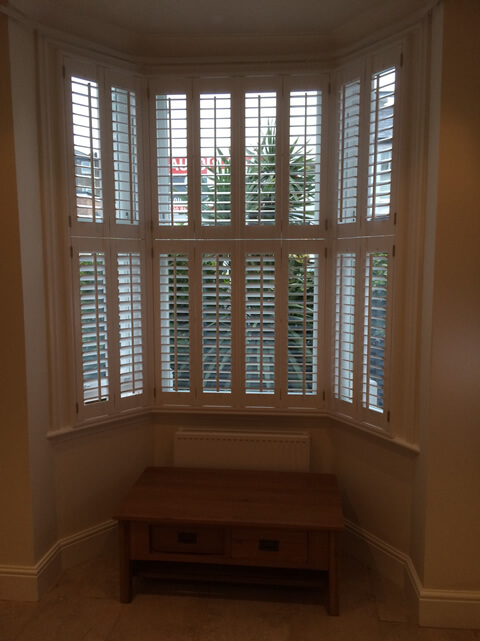 Shaun was on hand to fit these great bay window shutters for a customer in Dulwich, South East London. 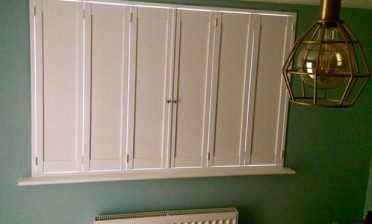 The customer was keen on the traditional look of the shutters he chose which fit in perfectly with the style of the home. The customer decided on a style which features thin bi folding panels and small 63mm louvres which we agree looks fantastic in this property! The shutters are a Tier on Tier style which allows the shutters to be independently operated on the top and bottom sections. 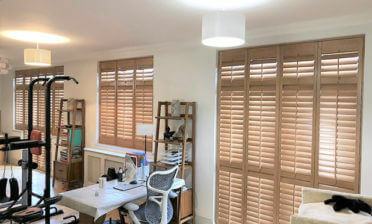 With multiple thin panels which bi fold the shutters can also be opened and closed in a multitude of different ways and angles depending on the light entry the customer is trying to achieve. Every panel features a central tilt rod for easily adjusting the louvres up and down. 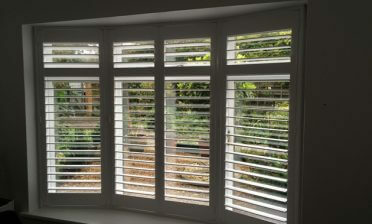 We created the shutters using material from our Bali Range which is lightweight yet still rigid and durable. The shutters were painted in a silk white with antique brass hinges on the sections where the shutters fold.